How many fancy horror movies are out there that we barely can remember? I mean, so much money can be put into projects that will live a few months of life and then pass away forgotten like something has never come to this life before. It’s unfortunate you will say and that’s something hard to disagree with. However, after seeing Ryan Prows’ LOWLIFE, that perception may change. It’s a low budget movie which uses a messed-up concept, gruesome killing scenes, yet is amazingly effective and entertaining is the least I can tell. LOWLIFE centers around Teddy ‘Bear’ Haynes (Mark Burnham) who own a ‘local business’ of harvesting organs of illegal immigrants in the United States and being supported by the corrupt police officer, Agent Fowler (Jose Rosete). However, everything changes when Teddy ‘Bear’ gets an order to have one more organ… of a person whom he should have never aimed as his target. The opening of LOWLIFE gives a heartbreaking look to an outrageous reality of how illegal immigrants have succeeded by not living a good life, but donating their own life though their organs, without their consent though. In the meantime, Crystal (Nicki Micheaux) learns that, her own daughter Kaylee (Santana Dempsey) who she give up for adoption as an infant agrees to donate her own organ to save the life of a father she had never known before. When all money is paid and the agreement being reached, Crystal learns that her daughter is expecting a baby and wants to cancel her request… however, by then it was too late, as a plan is due in motion by two criminals with conscience and even dignity… strange, isn’t it? The biggest surprise of the movie is its prominent hero known as El Monstruo (Ricardo Adam Zarate) who happens to be married to Kaylee and is the right hand of Teddy ‘Bear’. EL Monstruo is vicious, brutal and unnegotiable, and believes in carrying on the legacy he inherited from his father, also known as El Monstruo. Despite that, he is an honorable man who will never allow Kaylee to be hurt or his unborn child. But as soon as the execution of the plan begins, soon everybody will learn the true definition of what happens if something goes terribly, terribly wrong. 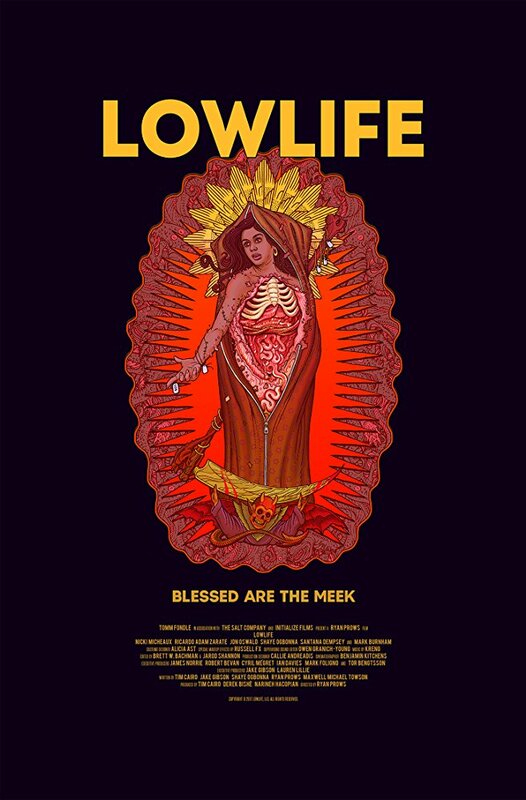 LOWLIFE is a well narrated movie with an interesting filmmaking style. Pretty much, you learn the background story of every character you see in the movie. For instance, you know what happens to them before they take a gun and after. Despite a bunch of unlikable characters, there are only few you will despise, while the rest of them will be justified through their actions. Overall, LOWLIFE is an excellent small movie with a surprising storyline and rich characters. The movie itself contains enough disgusting scenes to feel sick, however, if you like seeing more blood in the movie, then I guess you know what kind of choice to make about what to watch next.